I have a confesson to make. I have had a character living in my head for almost four years. 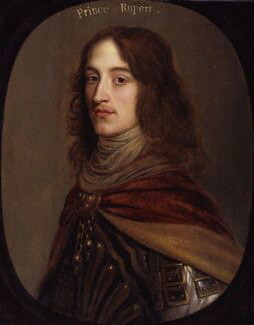 If you’re familiar with my work, then you will have already met him – he’s my dashing Cavalier ghost, Fowlis Westerby. He’s made an appearance in three of my Friday Flashes so far – First Impressions, back in May last year, The Priest Hole, in October last year, and The Duel in March. Way back in August 2007, I was on holiday in Scotland. It’s a beautiful country, and I highly recommend it as a destination. I’d heard the reputation of Glamis Castle as one of the most haunted places in the British Isles, and I really wanted to go. My parents are suckers for history and hauntings, so off we went on a day trip. On the way there, I spotted a road sign for a tiny village named Fowlis Wester. The name struck me, and before I knew what was going on, a cavalier ghost had walked straight into my head, introduced himself as Fowlis Westerby, and asked me to write him a story. I duly did so, writing a flash about him that I promptly forgot about. However, he didn’t forget about me, so by the time NaNoWriMo rolled around in 2008, I found I had an idea for a novel starring Fowlis. I wrote it, and in true NaNo style, I didn’t do anything with it. Until now. Fowlis prods me every now and then to write stories about him, and I’ve found that I really enjoy writing him. So I bought this domain and set up this blog to inspire me to finish rewriting the first novel, and also to finally get started on the second! Here’s where the mission statement comes in. I intend to use this blog not only to post Fowlis stories, as well as snippets from the book, but I’ll also be looking at ghost stories, local history and other paranormal shenanigans.